Here’s your daily dose of awesome, with a good song to go with it from my friends at The Hole in the Wall Gang Camp. I am on my way back from a week at the Hole in the Wall Gang Camp, one of my favorite places on earth. Highlights of the week include being made fun of by 14 year old girls for having rabbit eyes (what would that even mean??) – I didn’t care as long as they laughed together! – seeing some of my ladies zip down from the top of the tower, and ruling over some pretty controversial games of mafia (alien abduction style) and silentball. It was a fabulous week as usual, and the tone was set perfectly when we watched this video before the session. Check it out and let me know if it moves you as well. Have you been the creator of a lollipop moment? Do you owe it to someone to tell them that they’ve been responsible for a lollipop moment for you? This video may be only 6 minutes long, but it made me want to be a better leader, a better person – it was a bite-sized reminder that small acts DO make a difference, and that we have the power inside ourselves to create them. So I’m heading home with a lollipop in my bag (literally), and hoping my campers feel the same way. 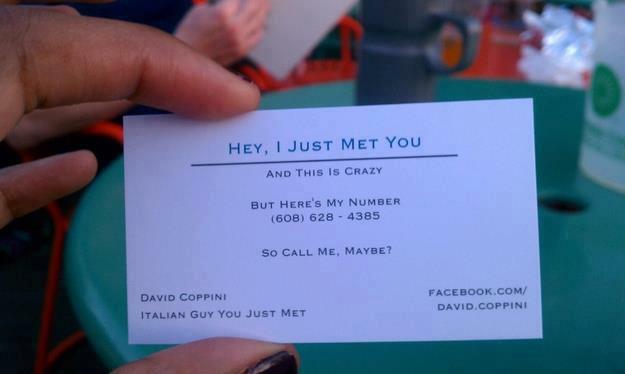 Music Monday: Call me maybe? According to the folks at The Hole in the Wall Gang Camp, this is the song of the summer. I can’t say I mind – it’s catchy to the point of getting stuck in my head often. I also love the idea that these celebs (Justin Beiber/Ashley Tisdale/ Selena Gomez) are just as goofy as the rest of us (… except when they post a video online, it gets 37 million hits). Still, if it encourages kids to start dancing and be a little silly, that will fit in perfectly with the seriously fun idea of camp. Bring on the summer!